Palm Springs is well known for its world-class spas, hot springs, golf courses, and beautiful hotels. It is also famous for the surrounding Coachella Valley, where people can hike, bike, ride horses, and attend one of the most famous music festivals in the world. The desert location means we get some seriously hot temperatures, and while it can be fun to get out in the sun, everybody needs relief from the heat. A home or business without air conditioning in Palm Springs is in trouble. However, there’s good news: R&R Heating and Cooling is ready to make sure you stay comfortable and cool, even with our California sun! Air conditioning systems in Palm Springs work hard year-round. Keeping them at their best is easier when you have the support of a professional team like ours. We have experience with all different types of A/C units, so whether you’re worried about your commercial unit or your residential window unit, we are your solution. The cool air that lets you to relax in your home, or keep your customers and employees comfortable at work, can quickly go away if your air conditioner breaks down. You need a team who can respond quickly and accomplish repairs that will actually last. Breakdowns rarely happen at convenient times, and that is why we pride ourselves in providing an emergency repair service you can trust. Whether you need to schedule a repair a little way out or you need help now, we are here to help through quality service that gets the job done right. If you don’t want to worry about the possibility of your air conditioner breaking down, maintenance is your best friend. Giving your unit regular attention means that we can spot small issues and quickly take care of them while they are simple and inexpensive to repair. It means your unit gets to run for more years because it isn’t being left to just wear down before its time. Once the unit gets old enough that it isn’t using energy efficiently, we can alert you and give you time to figure out how you want to handle replacement. 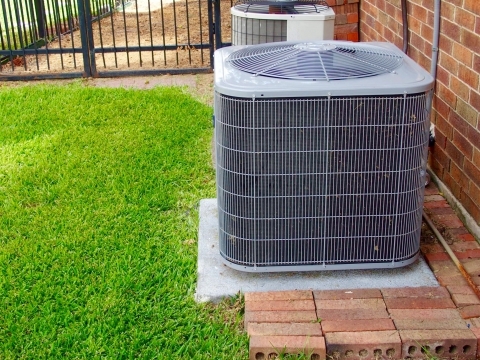 The manner in which a new air conditioner is installed determines the rest of its lifespan. You would be amazed at how many unit failures can be blamed on incorrect installation. Whether you have a new build that needs its first air conditioner or it’s time to retire a tired unit and install a more efficient one, contact us for workmanship you can trust. When it comes to saving energy, the appliances you use on a daily basis are a great place to start. If you have an old air conditioner, chances are good it guzzles energy and costs you money you could be spending somewhere else. Instead of letting that happen, let us show you just how great cutting-edge air conditioning technology can be. Start a conversation with us about how we can help you save money and be kinder to the environment at the same time! Regardless of whether you need A/C repair or maintenance service, top-quality installation services to replace your broken system, or you’re ready to have a high-energy air conditioning system installed at home or at your business to save you money month after month, the HVAC contractors at R&R Heating and Cooling are ready to assist through quality workmanship, courteous service, and excellent deals. We’ll be happy to assist with any air conditioner job, from diagnosing why your unit isn’t cooling your property effectively, to helping you find a replacement system that fits your needs and your budget. For all of your heating and air conditioning needs in Palm Springs, California, turn to R&R Heating and Cooling. Give us a call today!